Sao Paulo - This is Maria Moura. She is 44. She came to Sao Paulo in 1982 from Bahia. She has 8 children and 3 grandchildren.Her oldest daughter is in jail. Maria has been working in this establishment for three months. In front of this establishment where she works there was a big Korean clothing store. The clothing stores were demolished and the Korean had to find other places for the stores. The establishment in which Maria works is going to be removed in 2011. Then she must find another place to work. Maria is an example of “inside migration” that happens in Brazil. 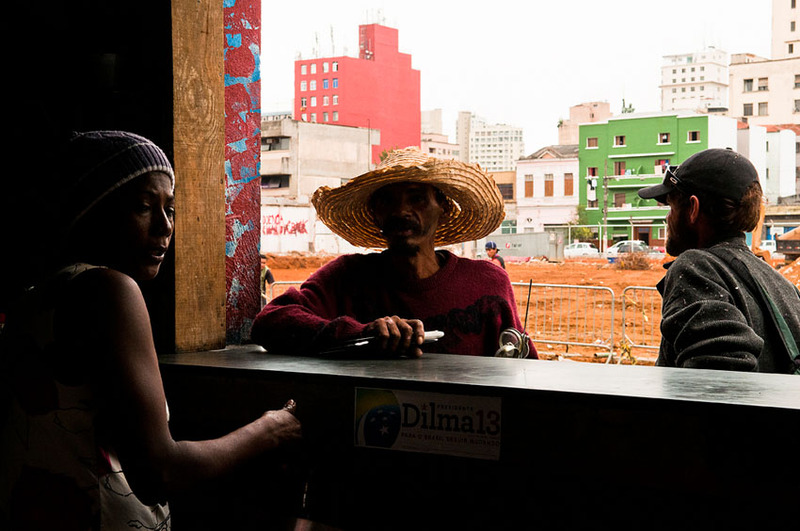 People that come from north or northest of the country to Sao Paulo city in search of work. And people that live in Sao Paulo city and move from one neighborhood to another because they don’t have jobs.